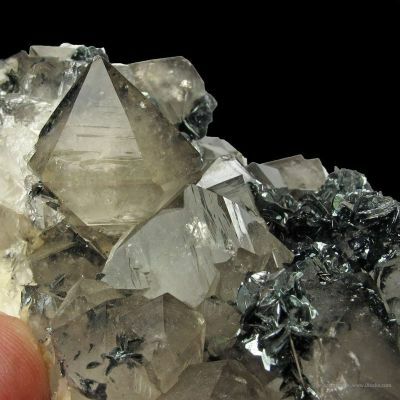 This well trimmed and balanced miniature shows off a superb cluster of bladed Hematite crystals from the rare locality of Korshunovskoye Iron mine in Russia. 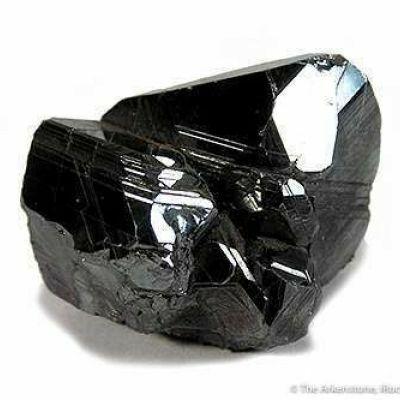 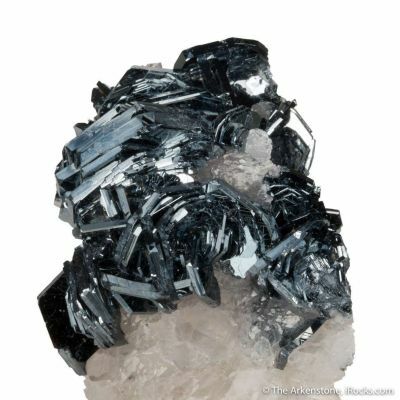 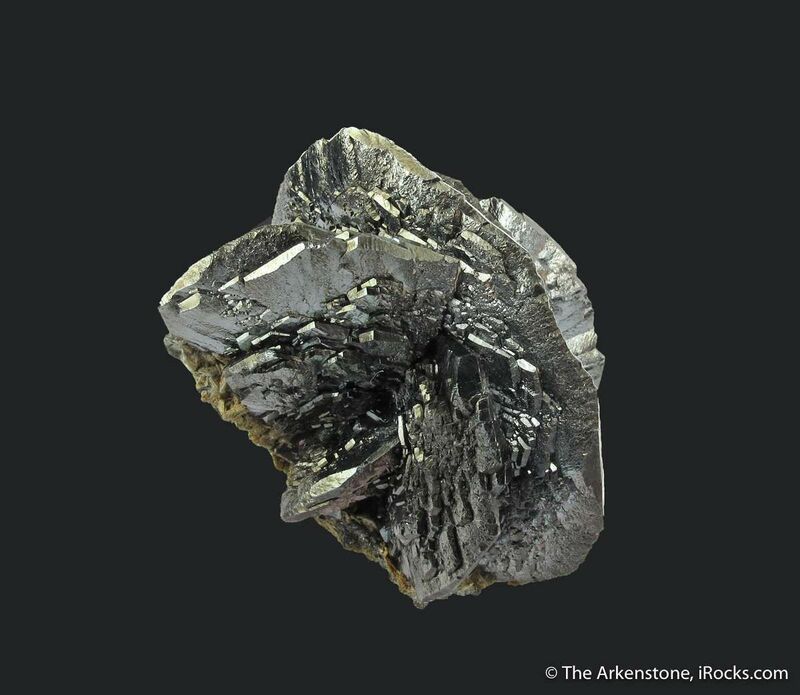 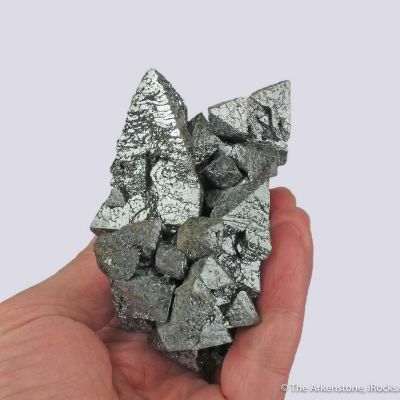 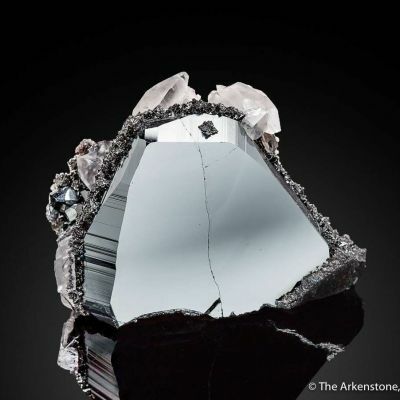 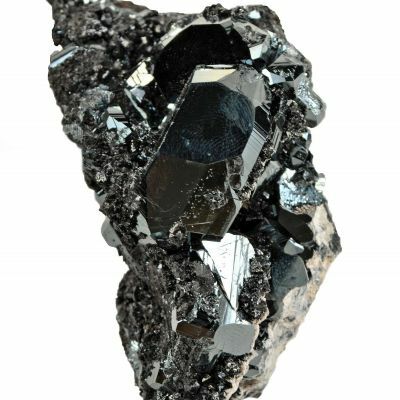 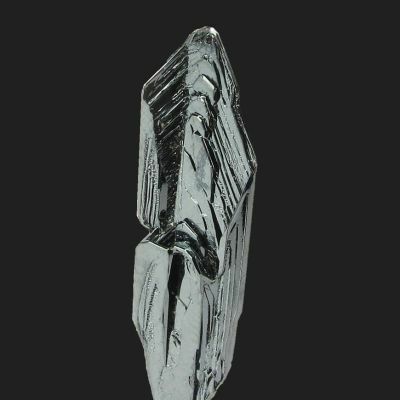 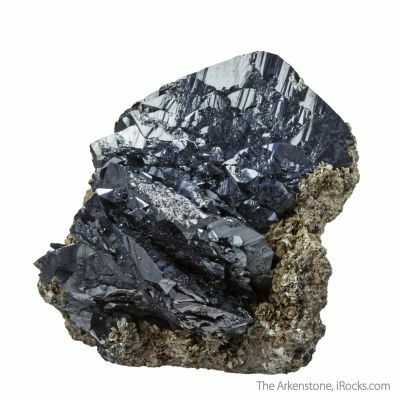 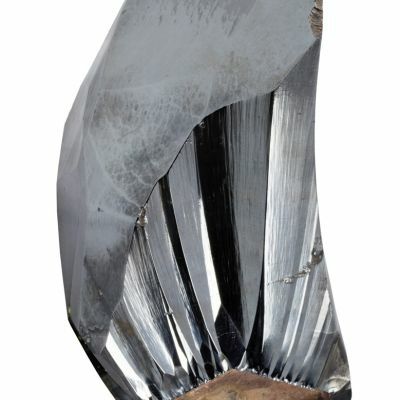 These large crystals of splendent, metallic, dark gray Hematite reach 5 cm in length, and the presentation is outstanding. 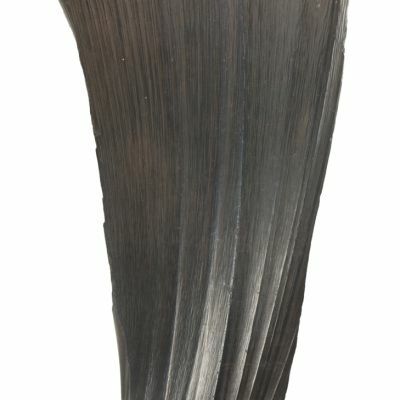 The blades sit edgewise on the matrix, and the arrangement is somewhere between a rosette and a sixling twin, reflecting the almost radial arrangement of the blades. 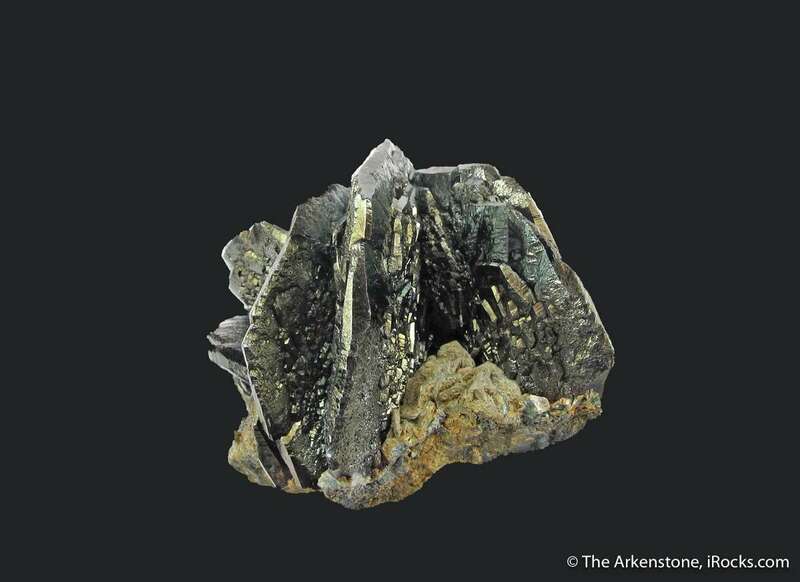 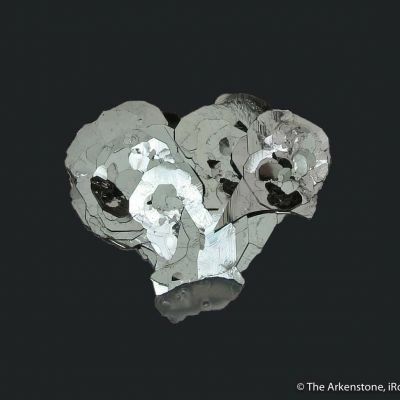 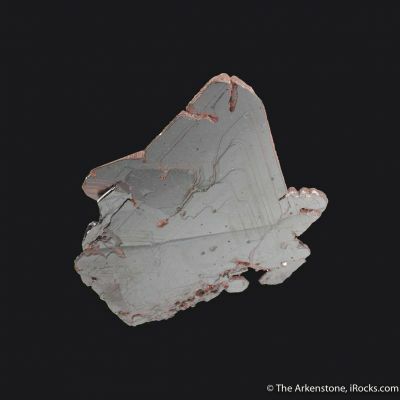 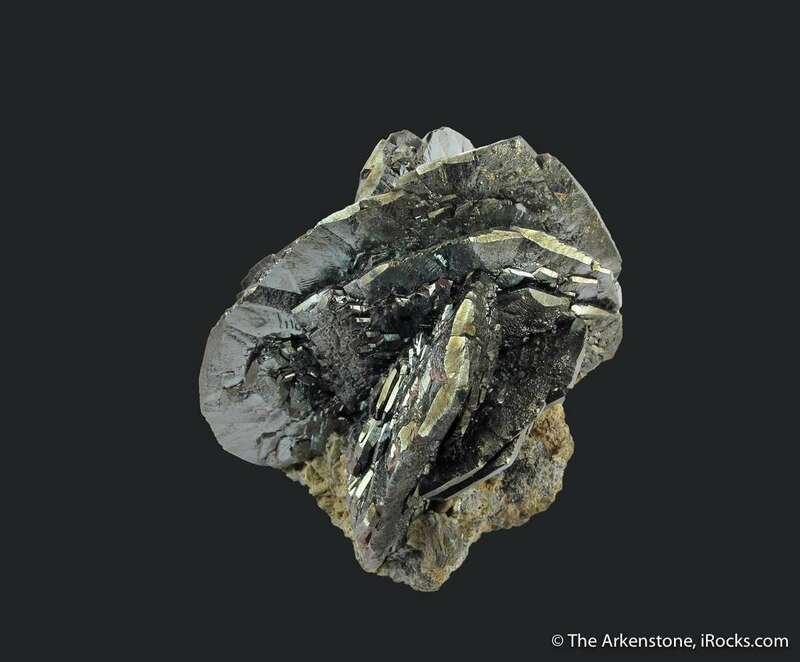 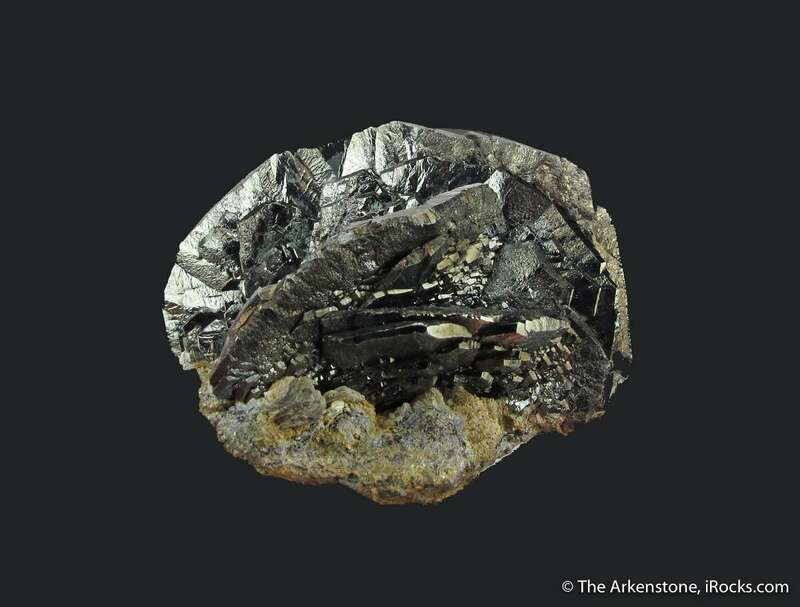 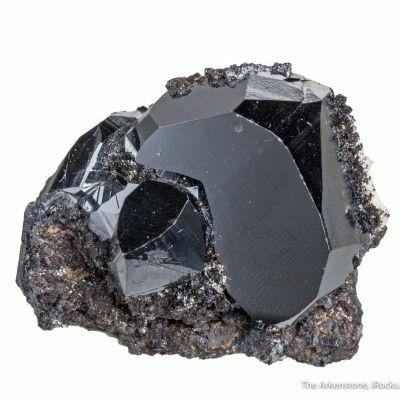 To my mind, this is every bit as good as a Hematite from this locality that is in Moscow's Fersman Museum and illustrated elsewhere. 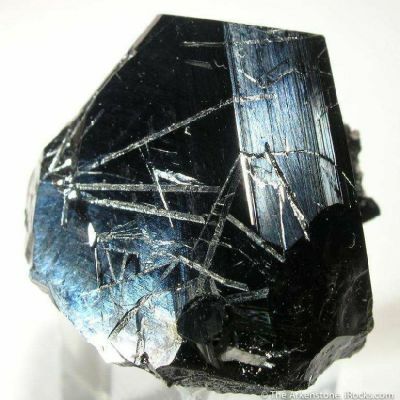 The aesthetics and quality are hard to beat, and it is far better in person. 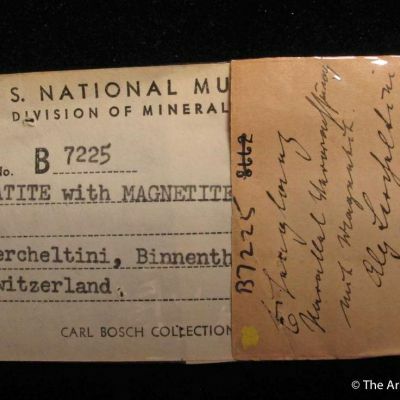 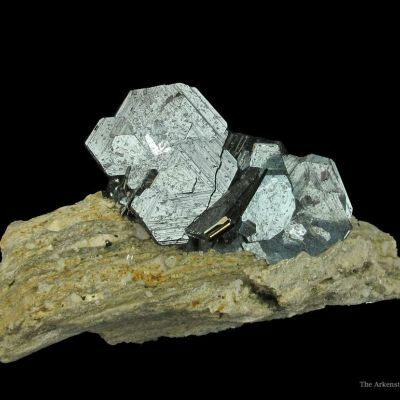 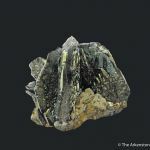 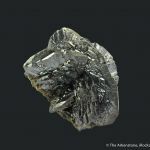 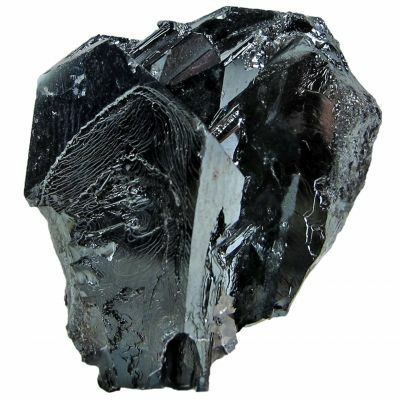 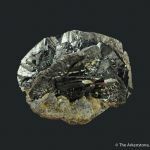 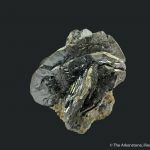 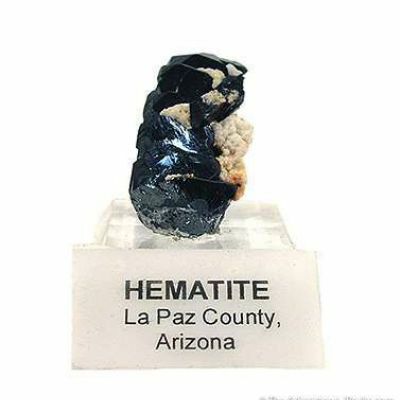 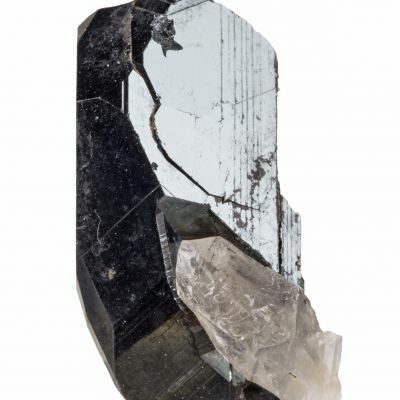 This looks radically different in person from any superficially similar specimen of hematite from Switzerland or Italy, and is a much more rare locale. 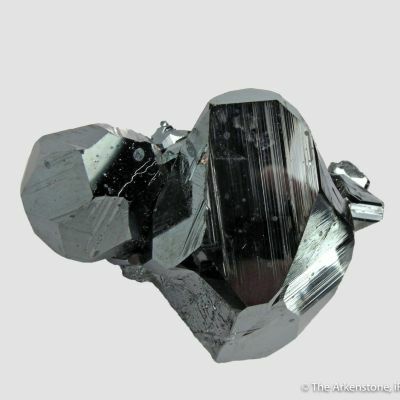 As a hematite in this size range, it really is a special piece.